Kevin Sipma, Neuron Computer Services’ founder, graduated with Honors from Chaffey College in Rancho Cucamonga, California. Kevin is CompTIA A+ and Network+ certified. 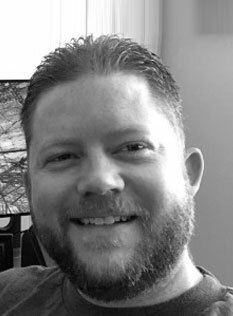 He holds several additional certifications and commendations in the general field of computer information technology and has over 15 years of hands-on experience in computers, networking, servers, and IT. Kevin’s passion for technology began as a young boy, with his family’s purchase of their first PC. From that moment on, Kevin has pursued his dedication to technology, creating Neuron Computer Services. The company’s success is built on Kevin’s continued commitment to integrity, and based in his unique employee mentoring system. Every Neuron technician is trained to provide old school, hands-on customer service at the highest level of accountability and trust. It is a commitment unheard of in today’s primarily faceless, cookie cutter managed services approach. Kevin’s priority is Neuron’s clients and their IT needs. Dedicated to the consistent level of care and services that Neuron’s staff of technicians has provided its valued clients for 15 years, Kevin Sipma, is your trusted Chief Technology Officer partner; helping to devise your company’s IT strategy and ensure that all needed systems to support your business objectives and operations, don’t just meet, but exceed your expectations. Since joining Neuron in 2014, Pete has demonstrated strong analytical, technical, and conceptual IT skills with a true passion for computing. Pete holds a degree in Criminal Justice, however, his primary passion has always been all things technology related. Pete’s primary focus with Neuron is to make sure our clients always have the best technology possible at the right price. Nothing is more important than our clients success as it truly is our own. He is an avid user of Linux and open source technology with a primary focus in virtualization. Pete has extensive technical and conceptual experience with all three major platforms of virtualization which are Microsoft Hyper-V, VMware ESXI, and Proxmox (KVM). Pete is also a master with corporate Microsoft Environments such as Active Directory, Terminal Servers, and Exchange. 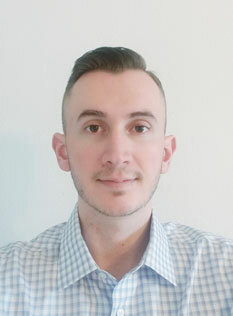 As the primary Operations Manager at Neuron Computer Services, Pete will personally ensure that client needs are met in a timely and professional manner with the highest focus on quality. Matt graduated with honors from College of the Canyons with a degree in Computer Science. Matt is CompTIA A+ certified. He has over 10 years of hand-on experience in the IT field with companies such as Fox Entertainment, Disney, Warner Brothers, and NBC. Matt demonstrated an interest in technology very early on in life due to his fathers role at IBM. He has always made it his number one priority to provide the highest quality service possible. He has proven success working in high-volume, 24×7 technical call centers. Matt demonstrates strengths in rapidly diagnosing, troubleshooting and resolving client issues. Matt is here to help as Neuron’s IT Specialist at the front lines of our Help Desk. When you submit a service request, you will always get Matt first. Neuron prides itself on having the personal touch that clients seek in the rough waters of technology.